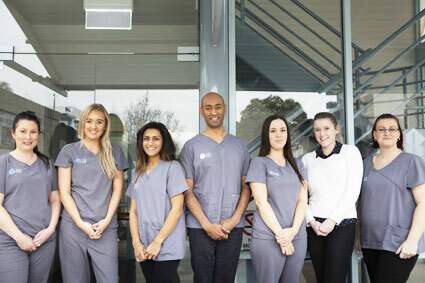 We’ve witnessed people of all ages in Oakleigh and across Melbourne experience dental anxiety and phobia. Thankfully, we’re highly trained in assisting patients with these concerns, as Dr Ron was the first Dental Phobia certified dentist in Melbourne. If you’re feeling stressed, nervous, anxious, or fearful whilst in our care, please let our friendly team know. We’re always on-hand to offer our assistance and put our patients’ comfort first. Dental anxiety can be described as the feeling of apprehension, nervousness or fear felt before visiting the dentist. Dental anxiety is very common, and most people experience some degree of anxiety when undergoing a new procedure. Dental phobia, on the other hand, is a much stronger response to fear than anxiety. The term ‘phobia’ refers to an “an irrational, severe fear that leads to avoidance of the feared situation”. Many patients, though, may not perceive the fear as irrational. People with dental phobia will usually avoid visiting the dentist at all costs and can even feel anxiety at the mention of teeth, dentists or oral care (such as when viewing toothpaste advertisements). The most important thing you can do is to tell our staff if you are feeling uneasy or uncomfortable in any way. Once we understand your history and the specific nature of your fears, we can adjust many aspects of our procedure to make you more comfortable. We are also able to break your treatment down into smaller, more manageable visits if required. Because Dr Ron is highly qualified in assisting anxious and phobic patients, he understands the gentle and relaxed treatment required during your appointment. We appreciate that each patient is different, so spend time building one-on-one relationships to determine how we can better cater for their needs. 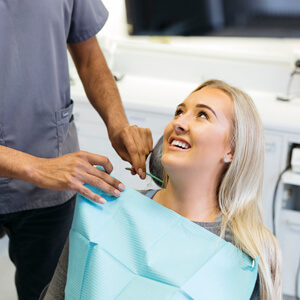 At Station Square Dental, we also place an emphasis on communication, and find that maintaining conversation with the patient throughout the appointment can greatly assist with easing their anxiety and taking their mind off the procedure. Additionally, our practice has been designed to be a relaxing and stress-free environment, so you’ll find soothing music playing in the background, as well as staff which have a calm and caring demeanour. Want to find out more about how we can assist your dental anxiety or phobia? Please call (03) 9568 8911 today!